This book will teach you how to take responsibility for yourself and your life in the most important ways that you can. I was also glad to see Jung's ideas getting some long deserved attention from a NYT best seller this decade. So badly want to give it five stars, but can't. This is an impressive story. The author expertly weaves scientific observation with philosophical history and creates a quite compelling narrative about the nature of, and existence of, time. In many ways the author expostulates on time in a way that you have wished other authors would, but never quite have been able to. Time is a difficult thing to talk about, and I've never read an author that can discuss relativity, for example, in the way he does, as someone in time to other beings in time, without resorting to formulas and facts about spacetime that totally lose the reader. Unfortunately, this author makes the mistake that so many scientific authors of our day are guilty of. He starts off in a sensible direction, dissecting time, and rebuilding it. But as Rovelli approaches the end of his story about time, he starts to replace his accurate scientific observation and thinking with mere assertions which assume an all-too-obvious worldview, a worldview which is common to many people of our day, the same people who don't realize that their own worldview is as much of a dogma as the other dogmas they have vehemently condemned. The Order of Time resolves into an implied Nihilism, which of course, leaves the reader feeling neither happy nor sad per se, but subliminally confused and de-calibrated. One does not get the sense upon finishing the book that time has been explained, as much as one gets the sense that time has been explained away. The physical theory which Rovelli bases his theory of time on (Loop Theory) is explained only briefly, and not in detail. No counter-arguments against Loop Theory are offered or assessed. 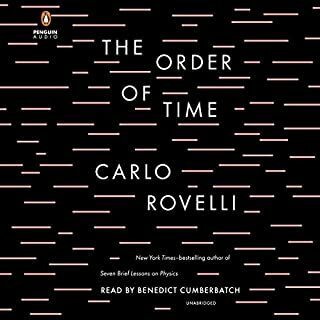 Rovelli claims to rebuild time, but really just takes the reader back up a ladder of his own construction, a ladder that does not necessarily begin at, or end with, a location determined by his given scientific theory. Horney deserves a Nobel Peace Prize for this book. Just an unqualified opinion from a random reader? Perhaps... although it was written decades ago, it must be more relevant now than ever. In a society that tries to crush the individual at every turn, anyone who wants to grow into themselves--their real selves, and not their culturally defined ego--will find in this book a truly powerful weapon against the forces of inner tyranny. Sometimes we find ourselves molding our behavior with inner dictates to such an extent that we stifle our true motives and actions from taking shape in our lives. Sometimes we try so hard to the ideal of what we "should" be, that we forget to be what we are. It's painful to feel distant from yourself, but it's even more painful to feel like you can never measure up to your "ideal" self. When you realize down the road that a lot of the mistakes you've made were toward protecting your "ideal" self and not your real self, you might explain a lot of the feelings of futility in your life, of always making the same mistakes, of never keeping a "leg up," of dead-end relationships and countless circular patterns of destructive behavior. 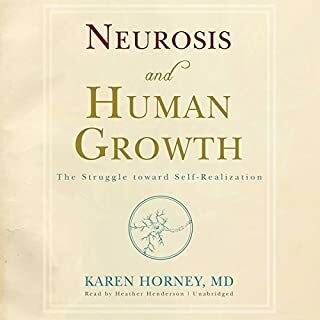 This book is about growing into your real self. So throw aside your notions of who you think you should be, and be ready to embrace who you are. It's hard work, but thanks to the sympathetic and emphatic reading from Heather Henderson, you can also take it seriously, even if you're not a psychoanalyst. The audio of this book truly adds an element of solemn weightiness that you probably wouldn't find in the print version. I believe the narrator understands the book on a deep level. Perhaps she used it to solve some of her own neurotic trends. This will be on my list of top 10 books everyone should read, probably #3. What is Dewey saying, really? 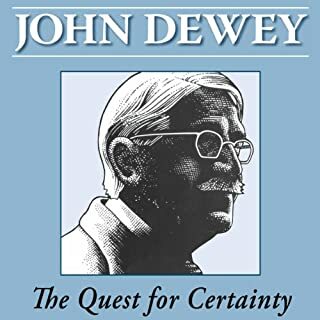 Our true Quest for Certainty should begin with Dewey's own writing. I don't know how he manages to maintain such excellent prose and yet say so little. I think of Dewey as a leader of a certain type of thought, namely, that which must be experienced in order to be known. Dewey's followers may take this tack farther than Dewey intended it to go. What can be experienced is known only by experience, yet the act of thinking about an experience is itself an experience, so that experience is never made more remote, nor is it compassed about, even though Dewey seems to think so. In order to suppose that certainty can be acquired only by and through experience, we have to consider all aspects of experience, not just the particular experience(s) in question. Dewey takes no account of the intrinsically diadic relationship between an observing subject, and observed (that which is,) as to recognize that experience is diadic and not monadic would throw into question the integrity of his entire system. Should Dewey concede that logically, experience must be at least at base, a diad of entities locked in experience with each other, he would come dangerously close to admitting something outside experience as more basic and fundamental than experience itself. Nevertheless, it's important to read Dewey (and any other philosopher, for that matter) with a critical eye and a trained nose. Good luck. You may think your opinions are harmless, and in fact they are, but you may not realize that not everyone thinks so. To SJWs, your beliefs on finance, gayness, workplace equality, and racism are of vital importance. SJWs need to project their problems onto you (making you the problem) and then socially crucify you (making your death the solution,) to their inherent internal difficulties. Of course this never works, because their internal problems still remain. So after they've demoralized, discredited, disrupted, and decimated your reputation and social standing, they move on to the next target, unhindered and undeterred in their everlasting quest to solve their own conflicts by making society their enemy. They act delusional and they have no firm attachment to reality. Once you are made "the target" they will stop at nothing until they've brought you down. If you apologize (which you shouldn't,) you may remain on tenuous grounds with them for a time. But ultimately, if you ever take a firm stand on any issue, they'll try to confute it with their own conflicts and tangle your totally separate conceptions about life and the world into their mess. This is not right, and it needs to be solved, but until now no one has solved it. 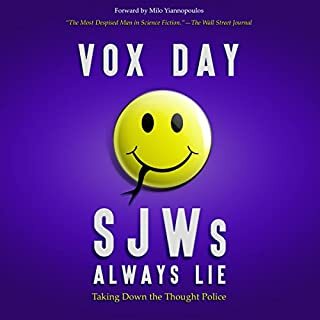 I think Vox Day may have, with his new nonfiction book "SJWs Always Lie: Taking Down the Thought Police." Reading it will give you the courage to stand up for yourself and your friends who are oppressed by the nefarious machinations of SJWs. It's time to take society back from their hands. This book is a manifesto for every free-thinking person. Digest its contents over time, and every time think about what you can do to stop SJW oppression in your neighborhood. Your completeness allows you to minister. When you are complete in Christ, it frees up your mental and spiritual resources so that you can direct them more easily and with a certain amount of pleasure. The problem many spouses have (including myself,) is a commitment to manipulate my partner to extract completeness out of them, rather than relying on a sound relationship with God for my completeness, and using that completeness to minister to them. Larry Crabb is a boss, as the kids would say. Here we have a psychotherapist who has thought for himself, searched these things out in prayer, and used the empirical method of examining his own patients to draw conclusions, rather than just taking as valid the most immediate general consensus. 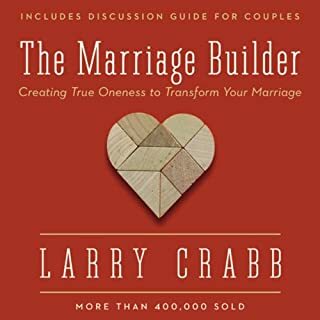 The family is the beginning and end of life, it is of the utmost importance, and the family cannot get right until the marriages get right, so take a minute and buy this book. I highly recommend this book, and this author. Very solid course, but missing a few things. 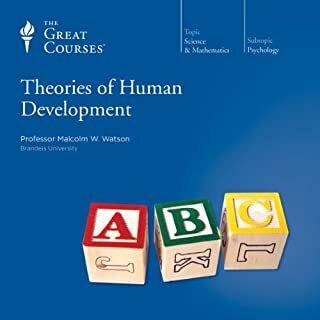 What made the experience of listening to Theories of Human Development the most enjoyable? The speaker is clear and concise with his words and ideas. What about Professor Malcolm W. Watson’s performance did you like? The emotion in the speaker's voice, which is backed by facts; that is, he speaks with genuine conviction about the topic on which he is teaching. He obviously cares about the topic and has taken the time to do the research so that what he cares about is backed by factual evidence. There's a lot of really good information, so I recommend a few sittings at least. 1. Jung had a historically pivotal relationship with Freud. 2. Jung expanded Freud's sexual theory by hypothesizing other drives. 3. Jung repeatedly gives credit to Freud, (even after their falling-out,) for inventing psychoanalysis, for planting its roots, and for giving Jung his start in it. 4. Jung's theories cover both young and old age; they comprise a complete psychological theory of development. 3. Ego, shadow, persona, and self. 4. Archetypal patterns of behavior. Despite the cryptic appearance of the above terms, all of these terms relate directly to important theories and concepts within psychological development which Jung coined, and answers questions which are still relevant to psychology today, especially to developmental psychology. The relationship that matters most to your daughter isn't the one with her mother - it's the one with you, Dad. Her self-esteem, choices, behavior, character, and even her ideas about or choice of a marriage partner are all directly tied to you, as the most important representative to her of the male species. I don't know how to father a daughter - how would I? My relationship with my own father was not good, and even if it were, that is still father-son experience, not father-daughter experience. Your daughter will look to you for encouragement, support, and unconditional love. Us men are better at fixing emotions than patiently bearing them with our loved ones. Similarly, the women in our lives don't always realize (how would they?) that keeping emotions under the hood is our way of protecting them, that is, our way of keeping from becoming too emotional ourselves and losing our sense of judgment, and then doing something stupid. Nevertheless, we mustn't be afraid of feeling our emotions when we are and daughters. Keeping a cold distance from them, compensated by random bouts of "warmness," is both confusing and damaging to their development. 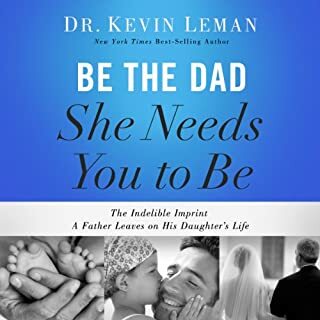 In "Be the Dad She Needs You to Be," by Kevin Leman, we learn how to protect our daughters without being overbearing, defend our daughters without becoming overly-defensive, and engage our daughters with love that is sympathetic and forbearing. Our daughters can be crazy, fun, adventurous, studious, capitulating, stoic, and everything in between; but at the end of the day, we Fathers are the ones who get to walk through those most difficult times in early life with them as reliable guides and rocks of refuge. We can make it harder, by not understanding, or we can make it easier, by setting our own hurts aside and realizing that our childhood is completely irrelevant to their childhood. These daughters of ours are their own people who will someday head out into the world, and we can leave a good imprint on them, or a bad imprint on them, but we will leave an imprint, and the choice is up to us. There is something within all of us that makes things which we would never consider doing to our friends or acquaintances seem somehow okay to do to our own family members. I don't know what this nature is, but I know it's wrong, and that circumspect guidance from people like Dr. Kevin Leman is essential if we want to be proud of the decisions we made when we look back upon our lives from our deathbeds. 1) Her definition of altruism is not your definition of it. 2) To understand how her definition differs, you must read and grapple with a lot of her work. 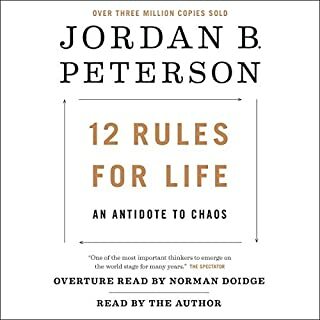 That being said, if you can get past the nit-pickings many people bring to the table, people who are completely unable to see beyond the conceptual scheme within which their thoughts operate, you should be able to seriously enjoy this book. 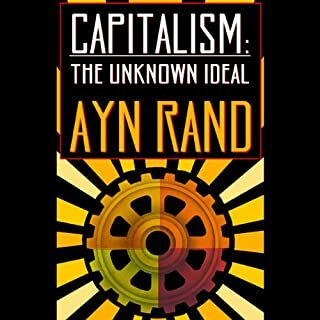 Rand makes a case for Capitalism that is based on facts rather than historical narrative; i.e. she doesn't tell you compelling tear-jerkers to convince you, she simply restates the facts, as they are historically known. This brings me to another point, namely, that her definition of Capitalism is also not your definition of it. For her, Capitalism represents every individual's ability to reach their full-potential, their own "Perfect 10" state-of-existence. Capitalism is something which allows people to excel based on merit rather than on fiat or consensus. People who think she doesn't care for the downtrodden are seriously mistaken. On the contrary, Rand considers every individual as a whole, an "end in itself," meaning that a disabled person, (say someone with Down Syndrome,) has the same right to pursue their own happiness, their own ends, and their own fullest potential, as does the richest billionaire, or the most successful professional athlete, or any other cultural status symbol or cause we worship or might want to support. That being said, there are a few things Rand says that will not sit well with many, and make her reading impossible for some people. Professional philosophers may be put-off by the dismissive manner with which she speaks of Kant, Plato, and pretty much every other philosopher that wasn't Aristotle. Additionally, she is singlemindedly unbending in her commitment to her view, and sometimes so stubborn that her backside begins to show. Nevertheless, if you can get past the feelings of offense that might rise up within you, and separate her admittedly personal opinions from her more objective philosophical statements, I think you will find her reading satisfying, as well as compelling, both intellectually, and morally. The word "Hacker" has been misused over time. A few decades ago, in a galaxy very, very near our own, a handful of individuals decided that computers were too good to be kept in the hands of only a few people, and wanted to give the gift of computers, (as Prometheus with Fire,) to the rest of us lowly mortals. These people have been and continue to be (fortunately, less so as the years go on) the pariahs of society, the misunderstood, who enrich our lives when they follow their own Hacker Ethic. The full effects of their contributions are yet to be seen. When you see a 65-year old Baby Boomer pull out his smart-phone in public and stare fixedly into the screen with that look of hypnotized awe, you are getting a picture of what these early hackers felt when they saw computers that were little more than a collection of blinking lights and paper tape. No, I'm not saying the hackers wanted people to be glued to their cell-phones at social events. I'm saying that they thought some good can come from it. It is always up to the individual to decide how they want to use technology, whether for good or for evil. But without the concerted efforts of these hackers, we wouldn't even have the opportunity to make the choice in the first place. Civilization becomes possible when humans learn to work together instead of raiding, pillaging, and looting their neighbors. The hackers believed that if information is shared society will actually become better. Like Benjamin Franklin, they did not seek patents on the things they invented, but wanted them to benefit society. 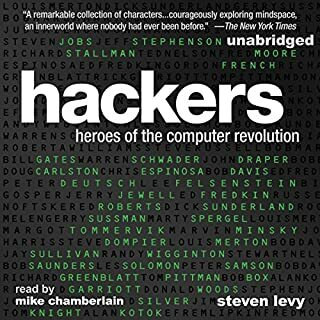 Although the story of hackers is a mixture of both successes and failures (even failures to follow their own Hacker Ethic,) it is a much needed addition to the library of anyone who wants to see what forces make society. The Hackers are very probably who we have to thank for the computers we are using this very moment.